LARGEMOUTH BASS Aaron Barrett, front, continues his ska-punk juggernaut. 'Pretty much from the word go, from note one, we do our best to give the audience an action-packed show," says Reel Big Fish drummer Ryland Steen in a recent phone interview. "These days, you want to leave a show feeling like you've been somewhere. We do our best to give them a fun show, that kind of experience, and the music, universally, just makes people go crazy." For Steen, a native of Lincoln, Neb., playing fast-paced ska-punk was at first a challenge. "Growing up, I had knowledge of reggae music, but I didn't know anything about original ska, much less the third wave of ska music that Reel Big Fish came out of," he says. "It took me a couple years before I really felt comfortable." Reel Big Fish play Jan. 7 at the Phoenix Theater. The band enjoyed a surge in the late 1990s, when groups such as No Doubt and Sublime helped push ska to the forefront of the alternative rock scene. "Sell Out," the single from the group's 1996 album Turn the Radio Off, reached number 10 on Billboard's modern rock chart, and the video saw considerable play on MTV. But the popularity of ska-punk proved brief, and Reel Big Fish never again cracked the upper tier of the rock charts. After 20 years, singer Aaron Barrett is the only remaining original member of the band. Steen will soon mark his eighth year in the band. "They go by in a blur," he says. "When I first joined the band I thought, 'I'll be in it for a year or two.' Eight years later, I feel really lucky to be in this band and to have it turn into the experience it's become. "Being able to be on a bus and tour the world six or seven months a year is so great," Steen continues. "Wherever we go, we seem to have a great group of people to see the show, at every show. Because we've toured so much, the band has built its reputation on the live show. We try to bring it every night, and the people always do. We feed off of that." 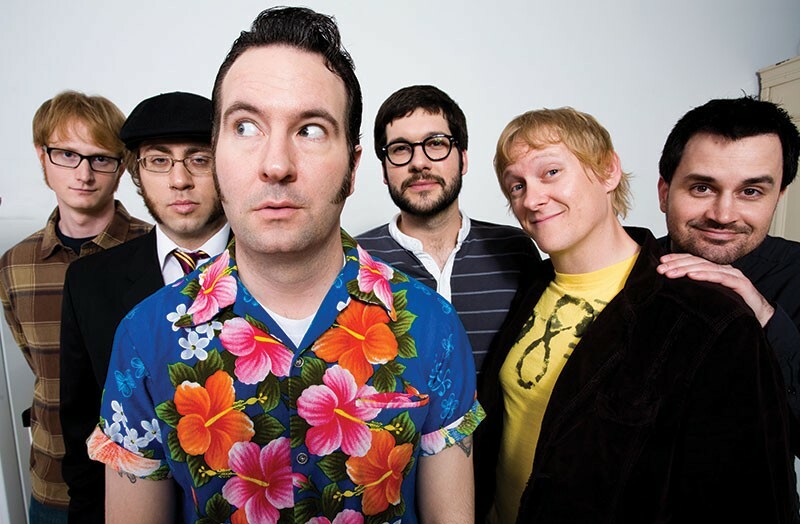 Reel Big Fish play Tuesday, Jan. 7, at the Phoenix Theater. 201 E. Washington St., Petaluma. 7:30pm. $20–$23. 707.762.3565.